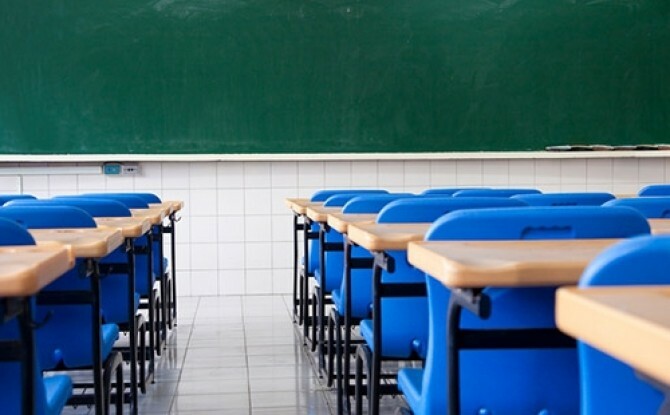 A few weeks ago, Steven Caulfield of Turner Building Science and Design co-hosted a webinar discussing the importance of proper mold and moisture control in schools with the EPA’s SHIELD initiative. We’re particularly interested in this issue at HSC because we know that an unhealthy school environment undermines efforts to keep students and staff healthy and give children a quality education. We caught up with Caulfield to ask a few additional questions. Thanks for your time, Steven! What’s the relationship between moisture and mold? Mold (or fungi) need only a few basic items to grow and thrive. These include food, water and an appropriate growing temperature. Food sources for mold are abundant in our buildings. These can be cellulose products in drywall and ceiling tiles, glues on floor tiles and wall coverings, and even settled dust. Likewise, the temperatures that many molds need for growth tend to be in the same range that we keep our buildings. Therefore, the ingredient in this mix that we can hope to control is the availability of water. What can schools do to reduce mold issues? Keep things dry. That’s the simple answer. More to the point, look for wet materials, measure humidity and try to keep it below 60 percent. Don’t cover cold surfaces (floor slabs, outside walls) with materials that can grow mold, like a bookcase up against the wall or cardboard boxes stored directly on the floor. What advice would you give to a school that has just learned about mold problems? Try to identify the source of the moisture and fix that. Do not jump to removing mold as the first step. If mold is removed but moisture is not stopped, then mold will grow again. In most cases, testing will not tell you more than you can see or smell, so if there is evidence of visible mold or moldy smells, treat it as mold. Learn more about green, safe school environments.